Back in January, you might recall that I made a creamy, fresh lemon mousse. I couldn't get it out of my mind! I needed another reason to make it again so I recreated it in the form of a tart complete with graham cracker crust and swiss meringue. It is tart, sweet, tangy, and... now it is beautiful enough to serve for a special occasion. 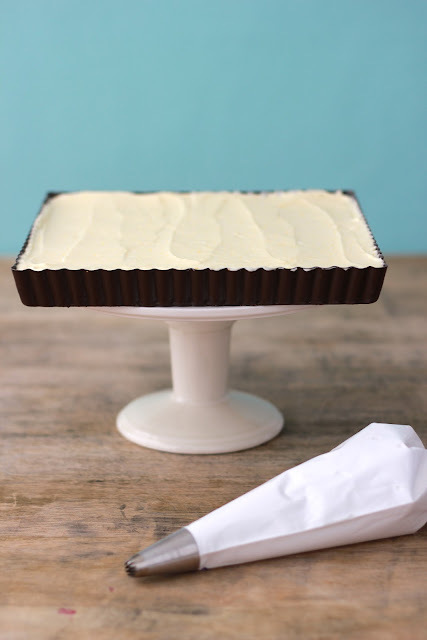 If you have never tried piping with an icing bag, this is a great one to start on. Don't be scared! It is so simple - the big tip will make any attempt look good. 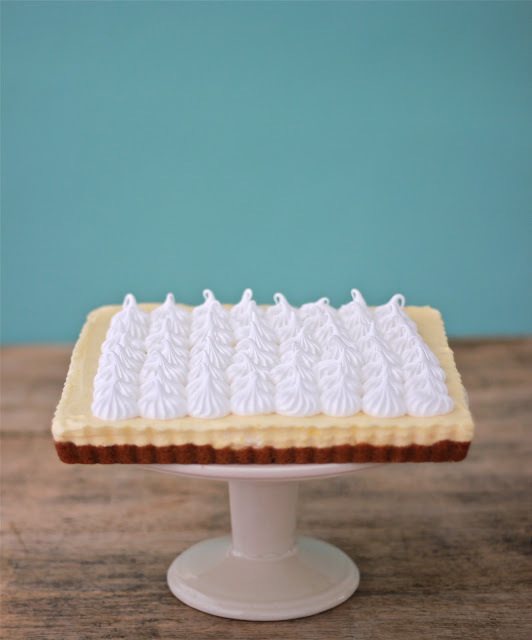 If you are not into it, you can top it with whipped cream instead! Prepare the crust by breaking the graham crackers into crumbs by hand or in a food processor. Melt butter and stir into graham crumbles with a fork. Pack the mixture into a tart pan packing it all the way up the sides. Bake at 350 degrees for 8 minutes. Let it cool completely. Prepare the lemon mousse as the crust cools. Pour it into the crust. Chill while you prepare the meringue. It is best to do this shortly before serving, as meringue does not do great in the refrigerator. Pipe on the meringue using a large starburst tip & pastry bag. Just found your blog via pinterest. I've now added you to my bookmarks, and I'm looking forward to making your scallops and shrimp en papillote this weekend. I'll left you know how it goes. The question is how on earth did you get it out of the pan and keep it looking beautiful?